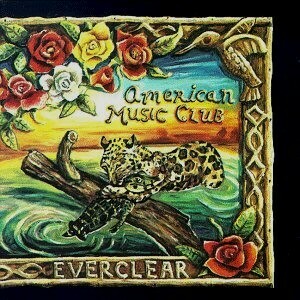 The Canon, Examined: American Music Club – "Everclear"
As far as reunions go, American Music Club‘s hasn’t garnered quite the attention of the Pixies or My Bloody Valentine. But then, they were never ones for the limelight. The California band split after 1994’s San Francisco and reformed almost 10 years later for 2003’s Love Songs For Patriots; frontman Mark Eitzel arrives at Largo on Saturday and is the weekend’s top ticket if you’re not at Coachella. First, though, let’s look back at where he began in our latest installment of The Canon, Examined. Everclear stands as a strange, successful intersection of influences: the Americana fabric of Cash and Bruce Springsteen rests alongside the then-current influence of acts such as the Smiths and U2, with everything pointed at Eitzel’s one-way trip to lonelyville. As we’ll discuss tomorrow, the band was about to leave Alias Records for a major and the bigger sound of Mercury; this did not cheer him up. Everclear, though, should bring a smile to your face — or at least warm your wounded heart. The Canon, Examined is an occasional series spotlighting the finest records to ever slip through the cracks. For previous installments, click below.